I know, this has been all over facebook already, but I'm still going to post it here. 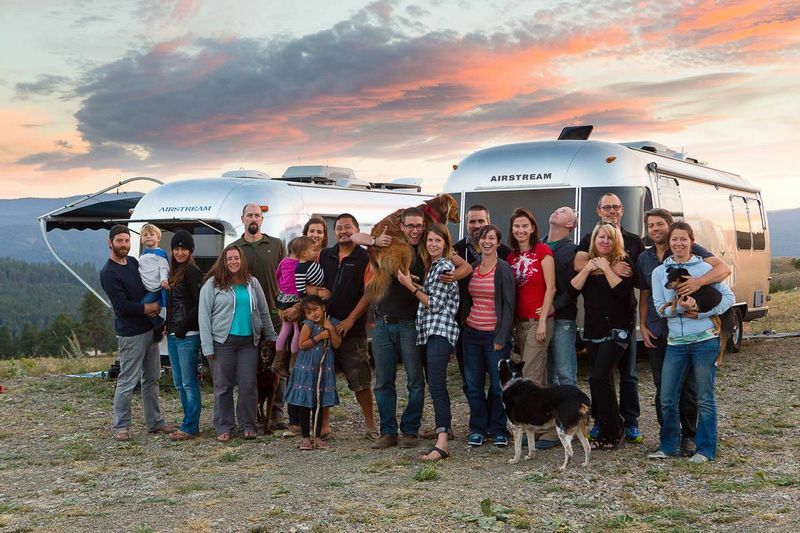 John of The Democratic Travelers, took this fabulous group photo of us the night before we left Leigh & Brian's at Aluminogan. I love it. Yesterday we just got settled here at our new spot and explored the beach a little. We all made whatever for dinner and gathered at our long long picnic table for more fun conversation and food. After dinner was just chill. 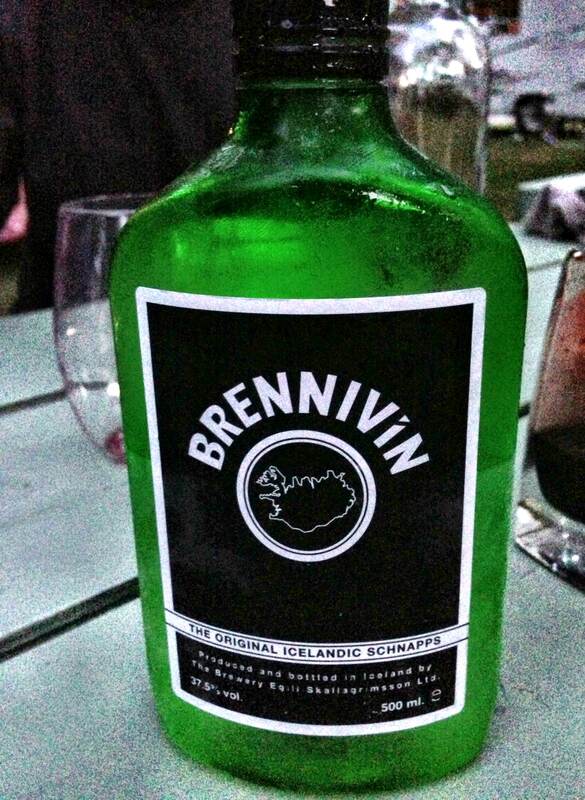 Some wine, some beer, and then the Works brought out this crazy bottle of "Iceland's signature distilled beverage" that they brought back from their trip to Iceland, called Brennevin. Today is Brian's birthday and part of the group will go help him celebrate with some lunch and some wine tasting, and then I think tonight will be just a repeat of last night (perhaps without the Icelandic liquor) before we head to Glacier tomorrow.